interface, and a differential input. The reference voltage can be varied from 100mV to 5V, with a corresponding resolution from 24ВµV to 1.22mV. 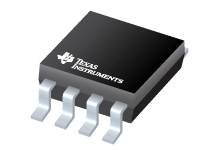 This glossary is a collection of the definitions of Texas Instruments' Delta-Sigma (О”ОЈ), successive approximation register (SAR), and pipeline analog-to-digital (A/D) converter specifications and performance characteristics. Although there is a considerable amount of detail in this document, the product data sheet for a particular product specification is the best and final reference.